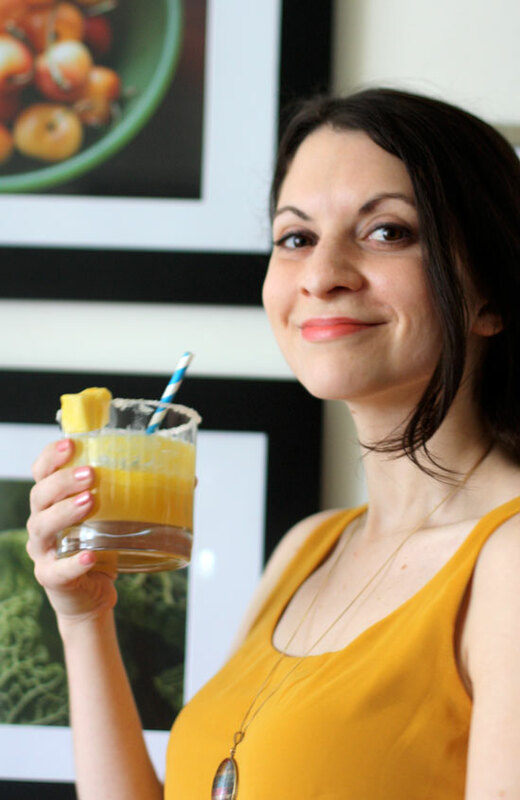 Cinco de Mayo is coming up, which means it's margarita time! 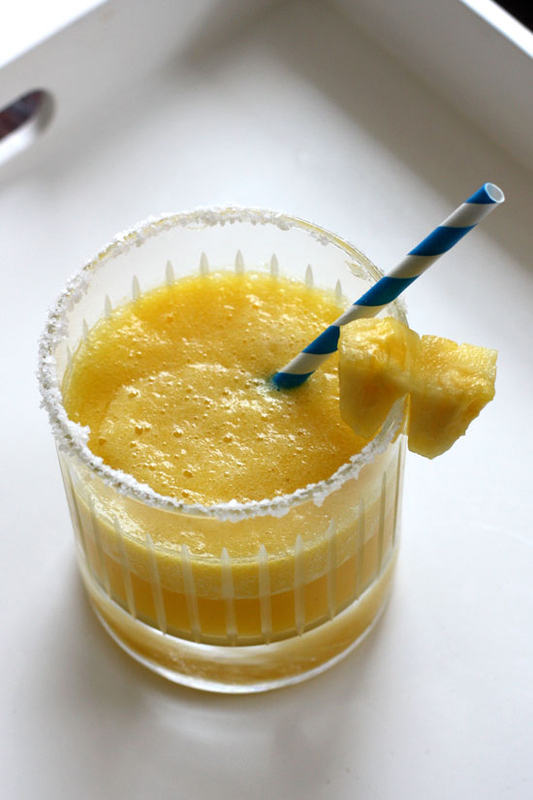 I tried out a pineapple margarita, and it turned out light and frothy and in such a beautiful shade. Use fresh pineapple, it makes all the difference. 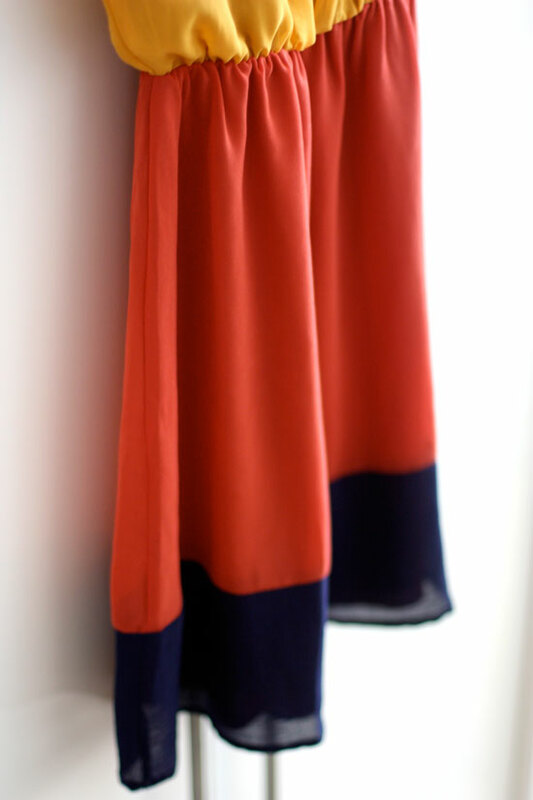 This colorblock dress from ModCloth is simple and summery. I love the primary color combination and how light and breezy it is. 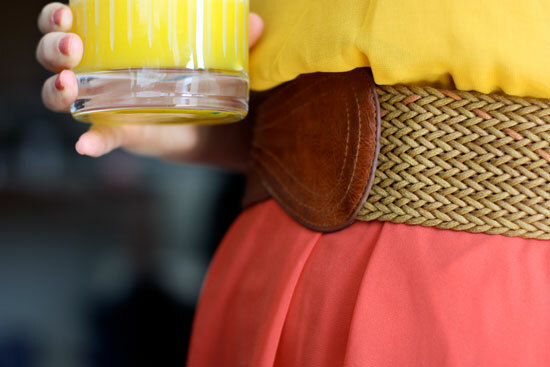 Perfect for the hot days and margarita sipping that summer will bring. 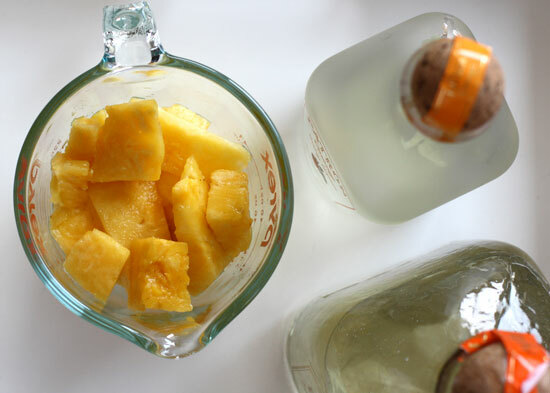 Add tequila, liqueur, pineapple, lime juice and simple syrup to a blender with 4 ice cubes. Blend until smooth and frothy. Pour into a pitcher if desired and refrigerate up to 3 hours. 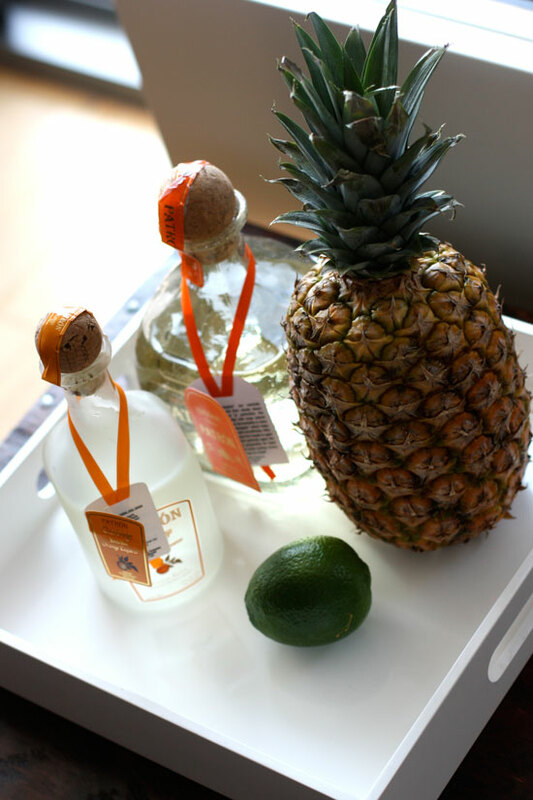 Salt rim of glass and garnish with pineapple. Serve cold or over ice. Serves two. Dress found here. Locket found here. 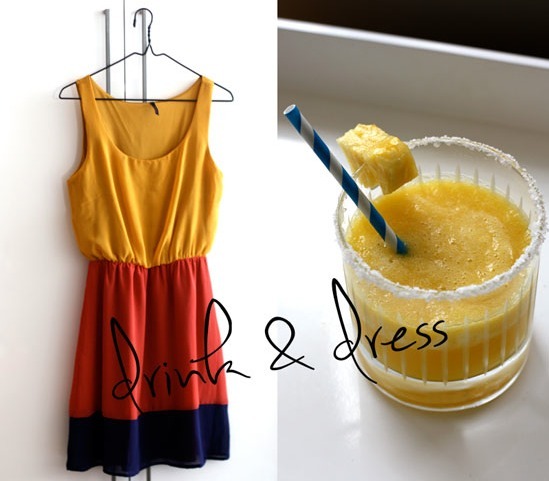 Frocktails is a monthly feature for fashion and libation inspiration. See past pairings. Mmm, that sounds absolutely delicious! I'm going to have to try it sometime. And that dress is too cute. so (a) still LOVING this series. It's adorable. I think this is one of my favorite series you do because I always LOVE the dresses you pick! That drink will sounds so delicious for cinco de mayo!!! =) Yum Yum! Sounds delicious–must give this a try! Yum, yum, yum! Love how frothy it looks, Cinco de Mayo here I come! so cute, i can't stand it. and that cocktail looks out of this world.